Any good pirate who's worth his sword has got to have a few scars here and there. And chances are because of the lack of showers or a decent extra water supply the cuts are going to be a little infected. Also believe it or not the pirates used to use black makeup or tar or anything they could put around their eyes in order to prevent the sun's bright rays from hurting their vision too much. We guess they weren't all that dumb after all, were they? We're going to guess that you don't have any crazy scars on your face. 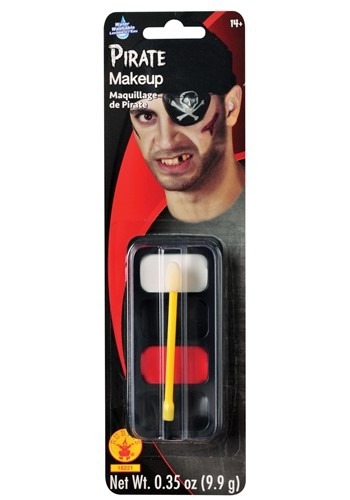 So here's some great Scurvy Pirate Makeup to help you create a few temporary ones to add to your already sweet pirate costume. Yer'll look like a bloodthirsty buccaneer, capable of the most gruesome acts. But you won't actually look like one, right?